Ellis Jones, former deputy head of RADA, reading a short poem by Lawrence Durrell, upstairs at The Wheatsheaf. 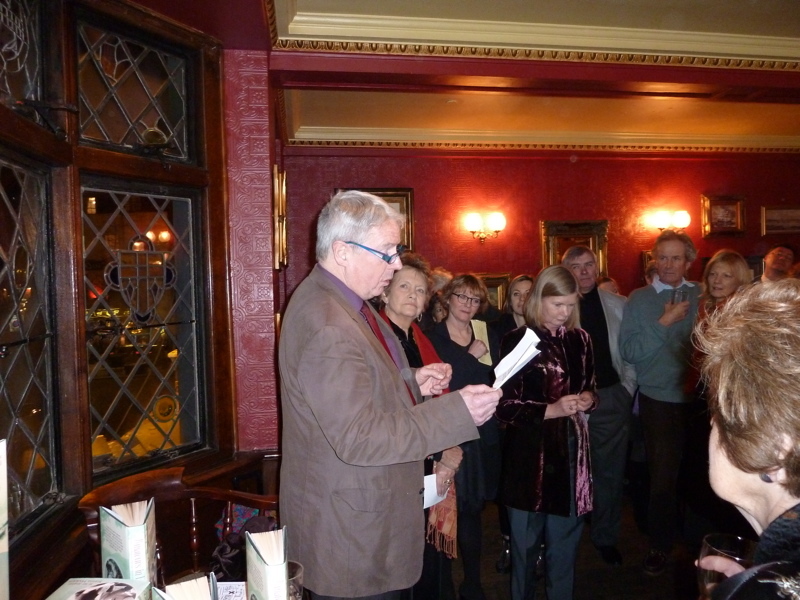 A new book telling the story of the marriage of Nancy and Lawrence Durell was launched at The Wheatsheaf in Rathbone Place on 7 February. Author Joanna Hodgkin told Fitzrovia News: "I chose a pub in Fitzrovia because that was where Nancy met Lawrence Durrell: the exact pub is not known, as neither could remember their first meeting. The pubs Nancy mentioned in her memoirs were the Plough and the Yorkshire Grey -- but the Wheatsheaf has an excellent upstairs room and the wood panelling and lights give it a very 1930s feel. “Their great friend George Wilkinson had a flat in Fitzroy Square – he shared a cottage in Sussex with them for a year and then headed off to Corfu, encouraging them to join him. Which they did, and Prospero’s Cell by Lawrence Durrell and My Family and Other Animals by his younger brother Gerald were the results,” says Joanna. 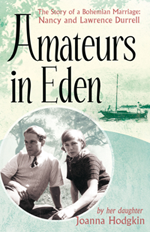 Amateurs In Eden: The Story of a Bohemian Marriage: Nancy and Lawrence Durrell. 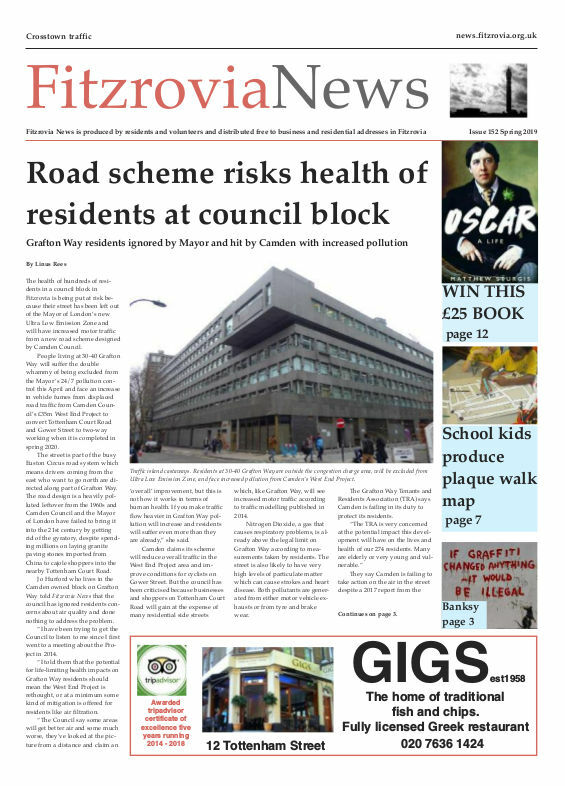 Virago: February 2012. Amateurs in Eden: the Story of a Bohemian Marriage: Nancy and Lawrence Durrell recalls the life of a beautiful young art student as she comes of age in 1930s Fitzrovia and how she meets her first husband. Born Nancy Myers in 1912 she arrives in Fitzrovia as a student of the Slade school. But bored with the way art was taught, frustrated by the restrictions her parents place on her, she strikes out with her own ideas. She pursues art and the people who interest her, settles in cheap accommodation with a couple of friends and makes the most of life hanging out in Fitzrovia’s pubs and cafes. Amateurs In Eden: The Story of a Bohemian Marriage: Nancy and Lawrence Durrell by Joanna Hodgkin is published by Virago.